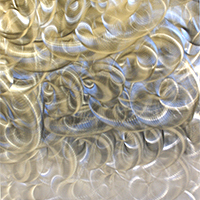 316L stainless steel Random Swirl finish is a hand applied finish that is completely random. Although sheets may look similar to each other, no two patterns will be the same. 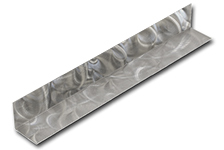 316L stainless steel Random Swirl sheets have a PVC film on one side to help protect against scratching during fabrication and installation. 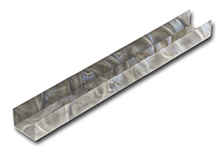 These 304 stainless steel Random Swirl finish trim moldings are made from the same 24 gauge 304 stainless steel that we sell in sheet form. They are used to attach sheets as wall coverings and backsplashes, along with providing aesthetic covering for seams between sheets and around corners. 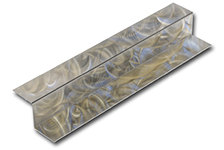 These 316L stainless steel Random Swirl finish trim moldings are made from the same 24 gauge 316L stainless steel that we sell in sheet form. They are used to attach sheets as wall coverings and backsplashes, along with providing aesthetic covering for seams between sheets and around corners.